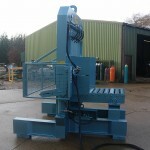 The MK9 featured is ultimately used for the cutting of large sawn blocks of stone. 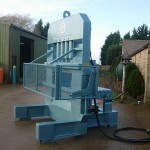 This machine comes fully equipped with a 20hp electric power unit and 20ft quick release hose pipes. 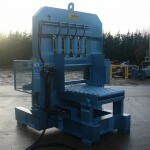 A cutting capacity of approximately 36″ x 24″ can be achieved. The heavy duty rollers fitted will carry the heaviest of stone blocks. With 4 hydraulic rams in sequence the MK9 creates immense cutting power.